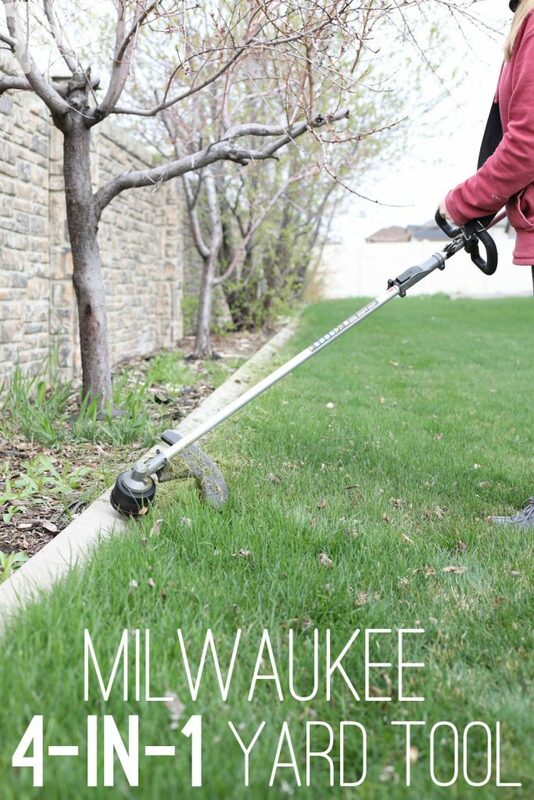 The Milwaukee Battery String Trimmer review is sponsored by The Home Depot. I have been compensated for my time and provided with product (tools). All ideas and opinions are my own. This post contains some affiliate links for your convenience. Click here to read my full disclosure policy. 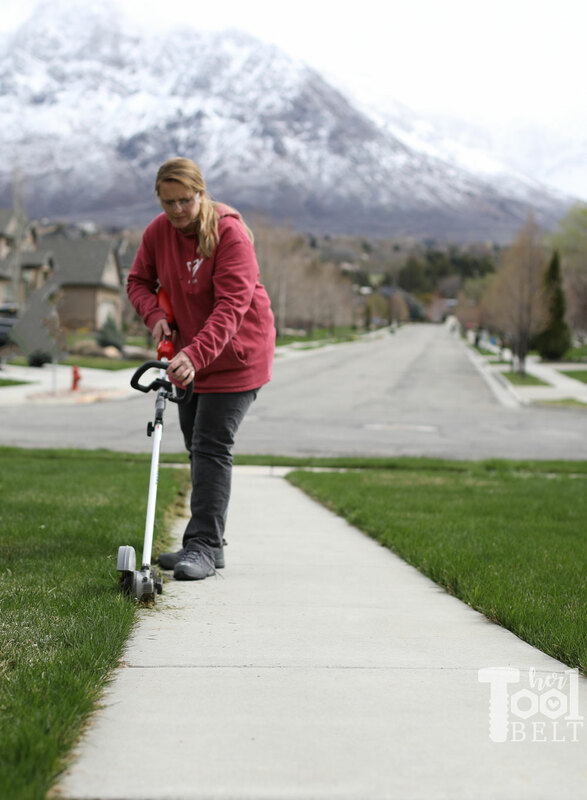 Spring has sprung in Utah, which means 50’s one day, snow the next day and back to 50’s. 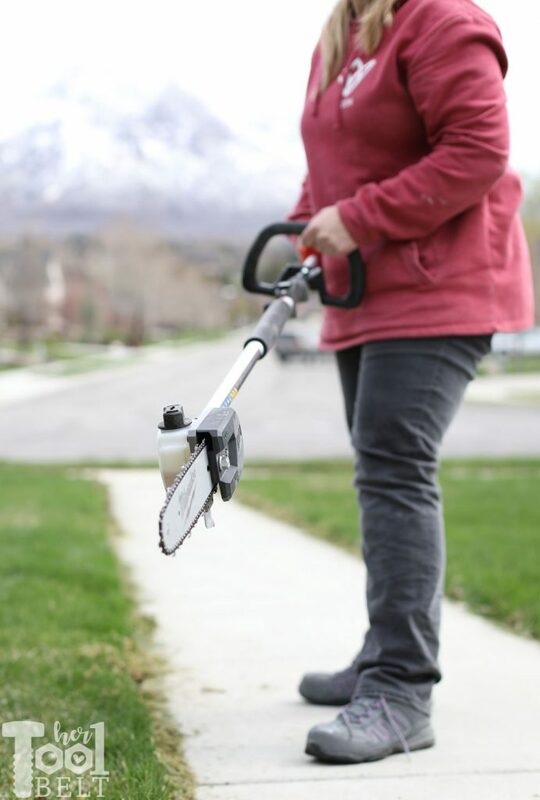 Snow or not, it’s time to get the yard cleaned up for the new growth! I slacked in the Fall, so I have quite a bit to trim back. 🙁 As part of the Home Depot Tool Prospective program, I get the chance to try out some of Milwaukee’s battery yard tools. I prefer to have battery operated yard tools. Then I don’t have to worry about maintenance of the gas/oil engines, pull strings, chokes, etc! The only drawback of battery tools is the run time of the battery and how long it takes to recharge if you don’t have a backup battery. That’s one area I’ll definitely be looking at for these tools. 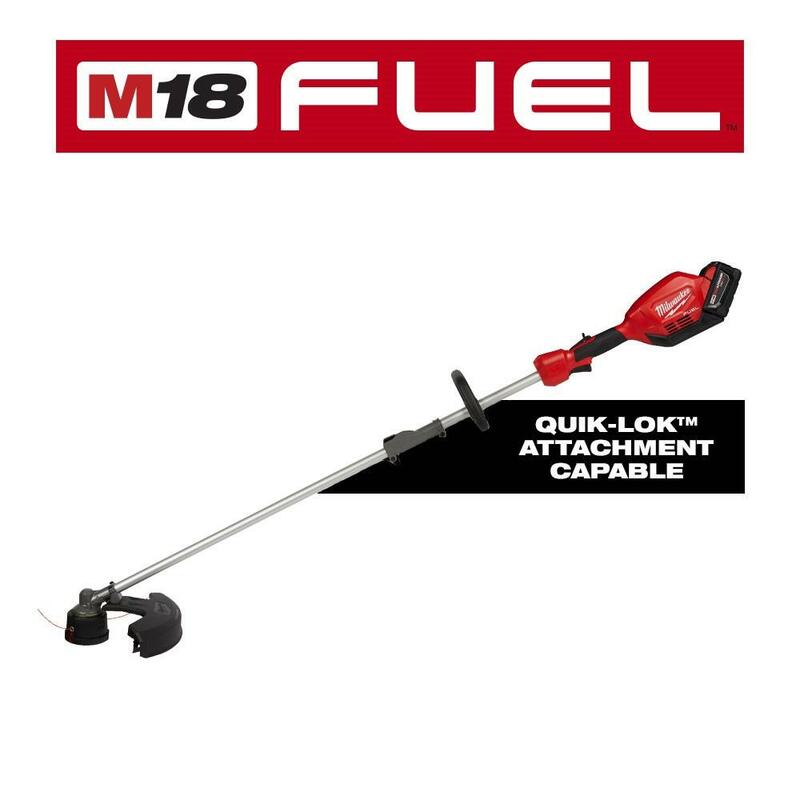 First tool up for testing is the M18 FUEL 18-Volt Brushless Cordless String Trimmer and 9.0 Ah Battery. The string trimmer (weed eater) works great as expected. It works similar to my other weed eaters I’ve used, to have more string come out you tap on on the base. The max swath width is 16″. 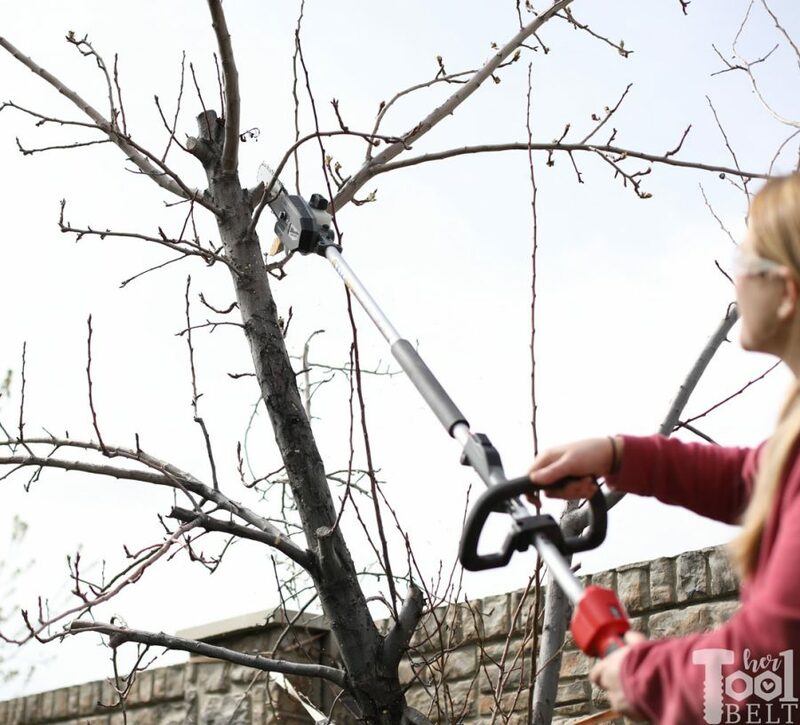 Out of all of the attachments, the string trimmer was the one that I really appreciated having the support strap. 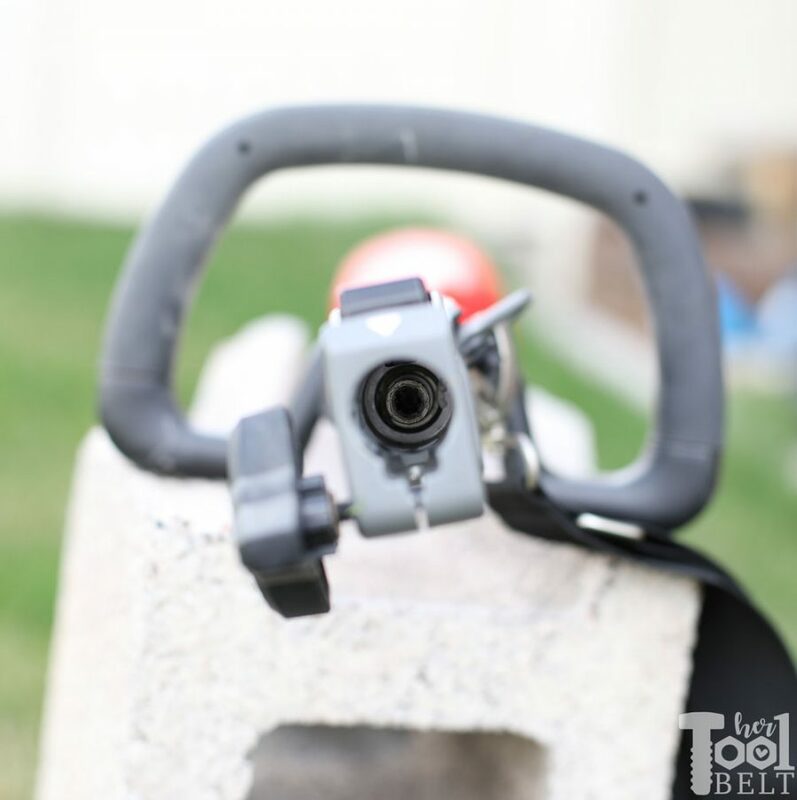 I’m on the shorter end being 5′ 5″, so sometimes string trimmers can be uncomfortable over time, but the strap supported the weight (12.3 lbs), reducing fatigue. 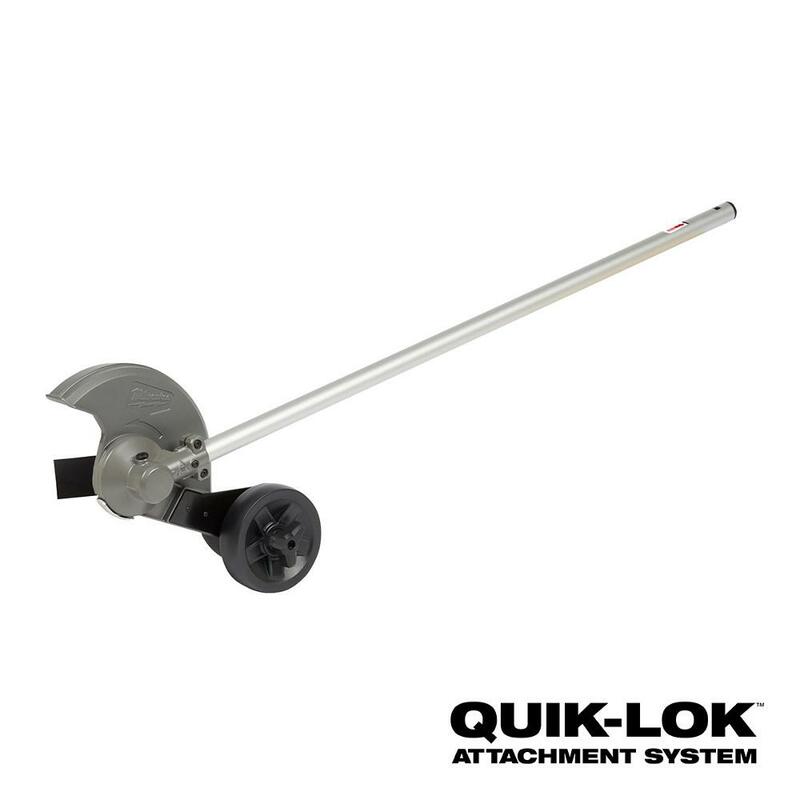 Changing the Milwaukee motor between Quik-Lok attachments is easy. There is a lever to push down and slide the attachment off the motor shaft. When installing a different attachment you just slide it onto the motor shaft engaging the drive (seen below in the middle), sometimes you just need to wiggle back and forth to make sure you’re lined up and engaged. Then secure it with the nut, super easy and quick. The Edger attachment worked fantastic. I was able edge my entire long driveway and sidewalk all on the same battery charge. On my other 40V system, this would have taken me 3 charges!!! I’m totally impressed. 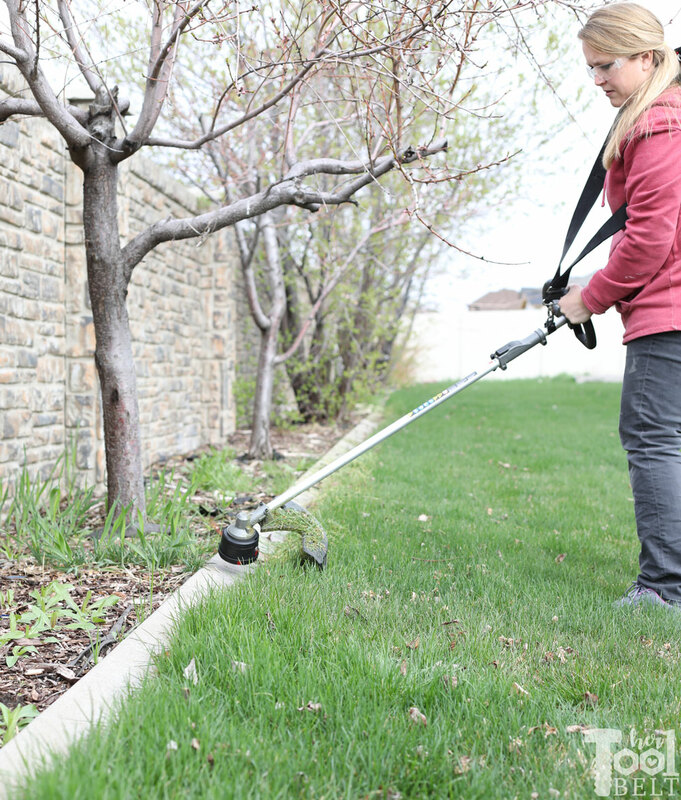 The edger has an 8″ blade and a back wheel that supports the weight. Even with damp ground, the edger didn’t blink an eye and was a champ. 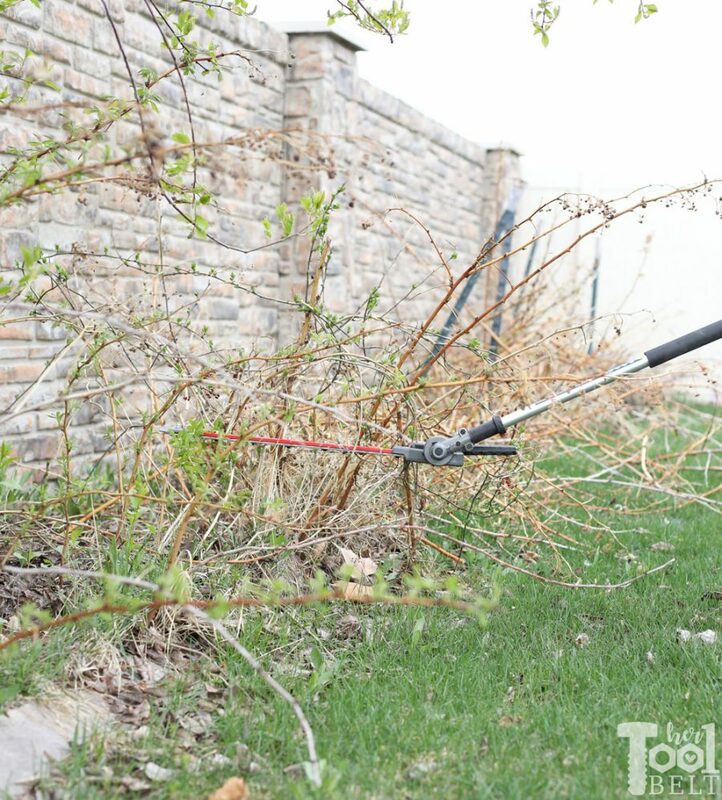 This was my first time using a power hedge trimmer, usually I use hand shears. The hedge trimmer was so much fun. I was able to trim my raspberries down in minutes without getting stuck in the thorns, yay! It also worked great on my variety of bushes. It was like switching from cutting hair with scissors to clippers, huge difference. 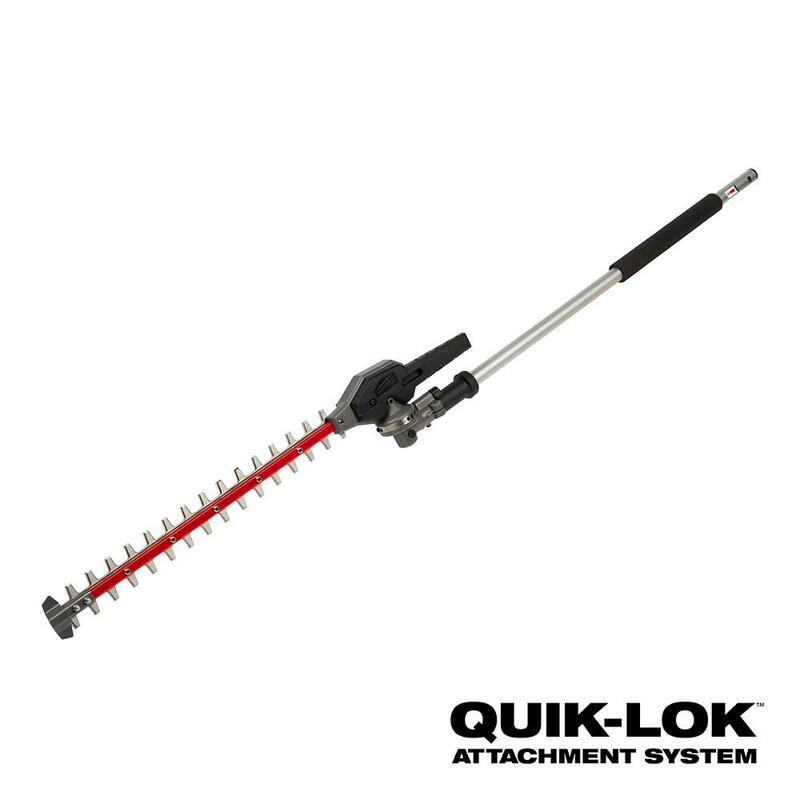 The head of the hedge trimmer locks in 13 positions in a 270 deg rotation sweep. 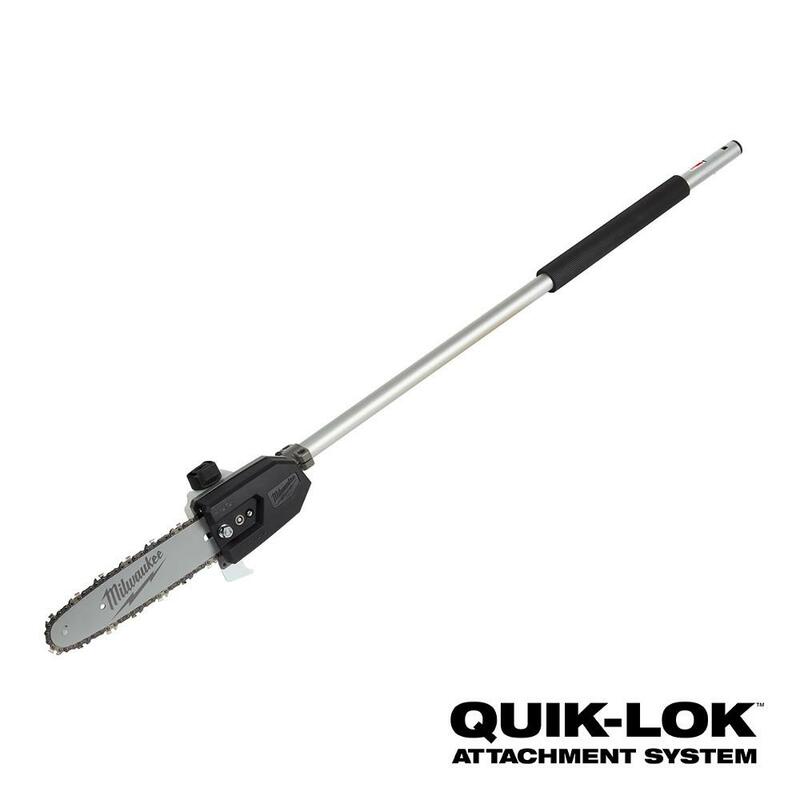 The hedge trimmer blade is 20″ long and can cut up to a 1″ branch diameter. 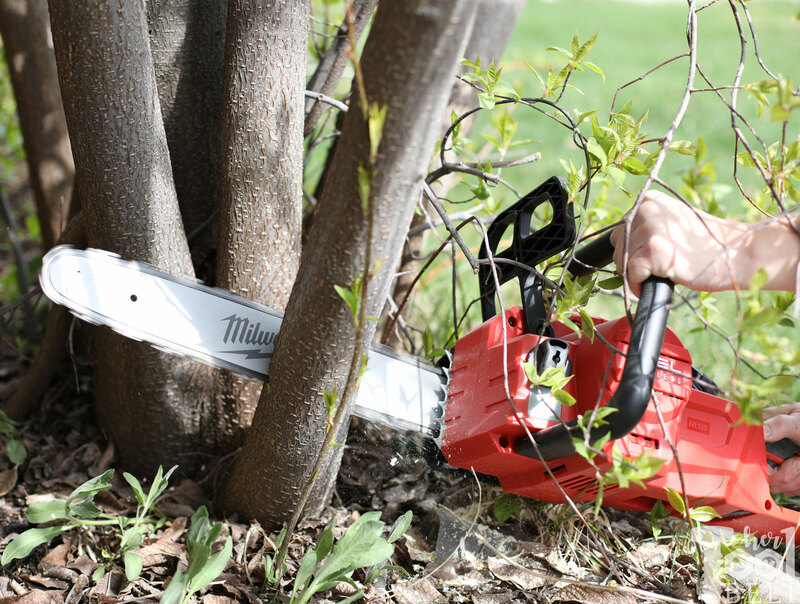 The pole saw is perfect for those taller trees that need trimming. First time using it, you do need to add chain and bar lubricant to the reservoir. The pole saw has a 10″ bar. I have an unruly pear tree that I let grow without proper pruning over the years. Therefore the fruit is little and not the best. I’ve been trying to prune it the last two years without over pruning and messing it up. The pole saw worked great to get those high branches, so much better than pulling out the ladder!!! 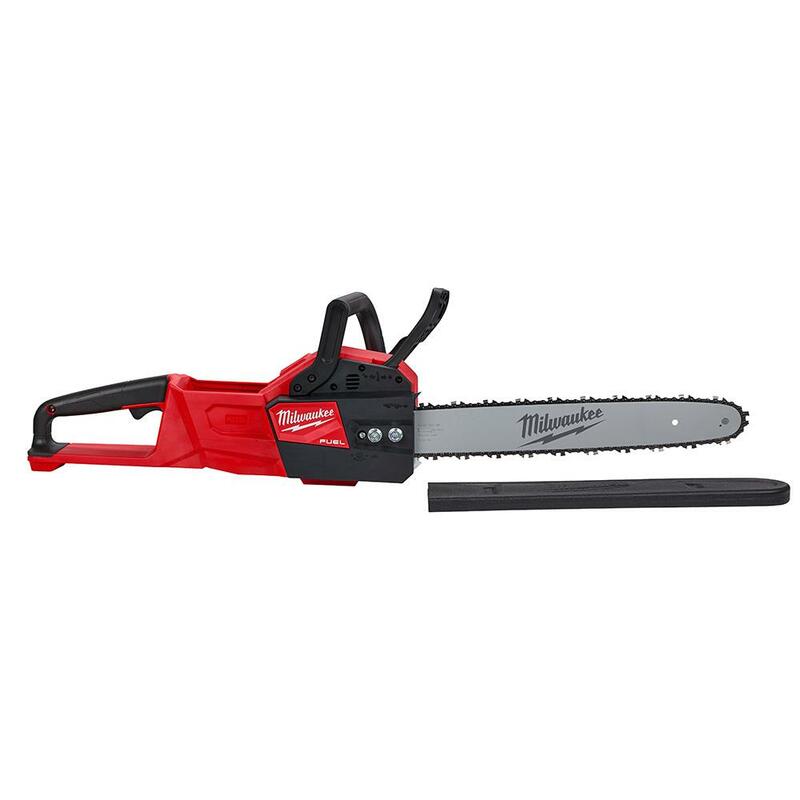 The Milwaukee 16″ battery chainsaw is fun. It’s fairly compact and quite lightweight, just under 11 lbs. When first used, you do need to add chain and bar lube to the reservoir. 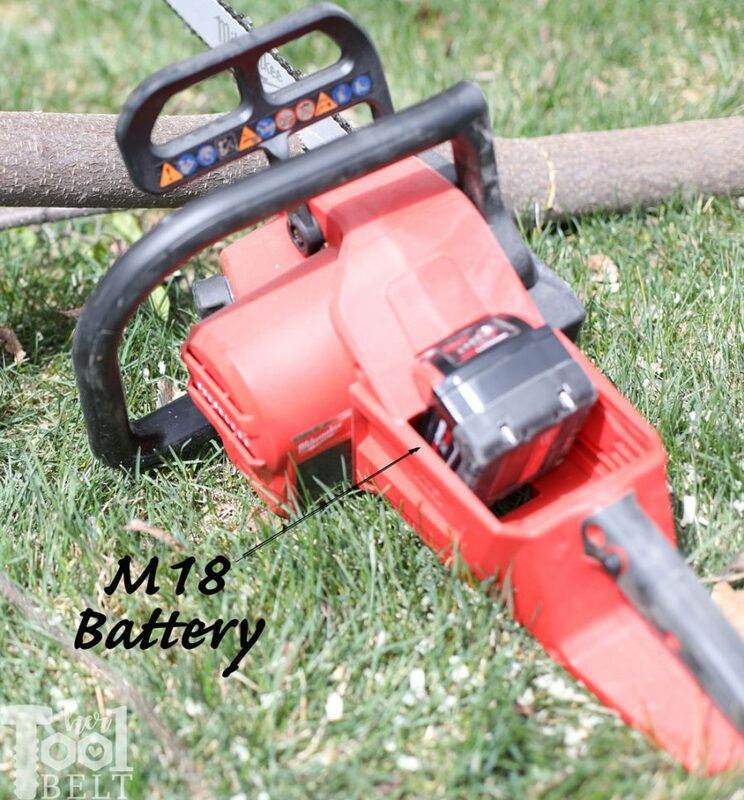 This chainsaw runs off the M18 (18v) battery, so it can be used with M18 power tools! 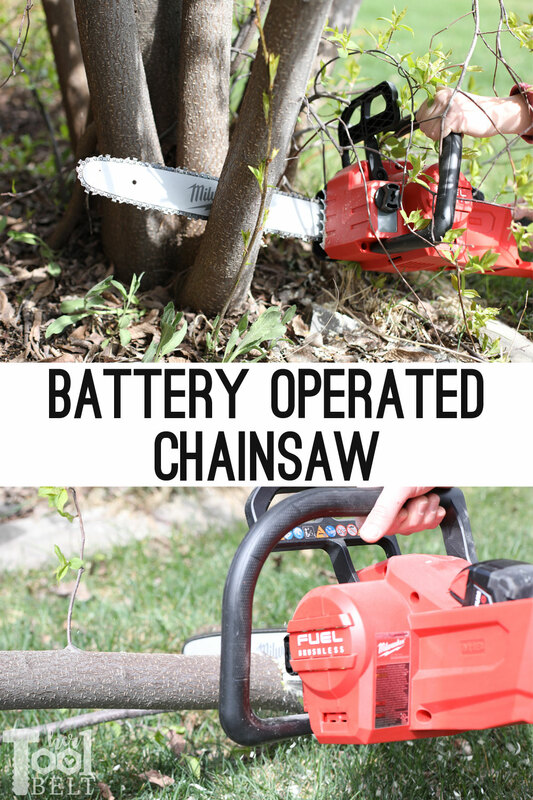 They say it has the best performance with the 12 ah battery, up to 150 cuts, comparable to a 40cc chainsaw. However, it worked great with the 9 ah and even the smaller 3 ah 18v batteries. Ok the big question is how’s the run time, right??? Weed eated 2/3rd my yard perimeter (.38 acres) with the string trimmer (usually 2 charges with my other system). This was all on the same 9 Ah battery charge!!! This makes me so happy and I’m very impressed. The best part is that when the 9 Ah battery runs out of juice, I can stick a 3, 4, 5 Ah battery in and keep going. This system is going to make my life so much easier this summer. I can’t recommend it enough, I love it.